of wisdom in the sage woman’s voice. ← Calming Signals and Ambivalent Horses. OMG, I love the way you pour onto your pages for us, Anna Blake! Thank you and I trust you won’t stop until I am under that solid ground. stay curious, like all amazing souls. We remain in debt, and the better for it, as you do. I love your poetic wisdom. 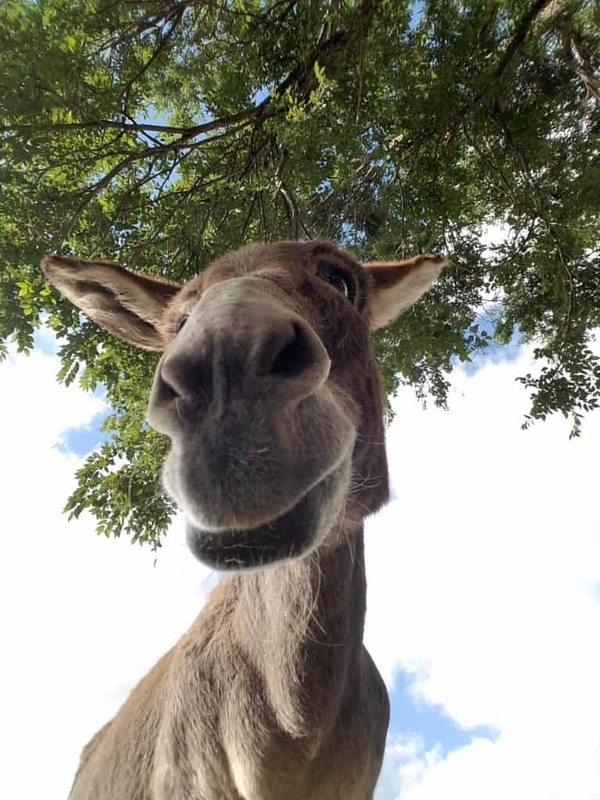 Is this pic Edgar Rice Burro? Thank you. This is Lilith, a foster rescue, gone a year now. This makes me sigh, a wonderful releasing sigh, because there is hope in the world, and wisdom and creativity and curiosity, and aren’t we lucky to have the creatures around us (two legged and four) to remind us. Amen, Susan. We are the lucky ones. “just a pause to find the ground under worn hooves”…………………… as always, thank you. I find myself counting on the earth more and more… Thanks, Deb. You’ve had and have so many experiences of loss and it’s constant companion grief. Of all the things that are hard to learn how to feel and face, especially with grace and acceptance, isn’t the loss of one deeply loved and cherished who you’ve been heart and soul connected to, who you may feel like you need in the world, the hardest? I hope I can learn and grow in this way too from your wisdom and experience. True, lots of experience between all the animals and the loss of so many friends and family, it always seemed to me that I had to find a way to make friends with death. But if you’ve been “heart and soul connected” can you ever be truly separated?? Anyway, it is one of the big challenges, isn’t it? Thanks, Lydia. Great depth in that lovely poem, and wonderful photo. Your photos are amazing. Thanks, Louise. I have the very best subject matter. Yes, there are compensations for growing older and wiser…… so I try not to be bothered by a body that’s not as lithe as it once was. Beautiful words expressed from a very wise spirit. That lithe body is an easy trade for not needing to please… There is an autonomy that feels very sweet to me. Thanks, Annie. it makes me cry. So beautiful, so sad. My mouth is speechless…my heart, not so much. Thanks ever so, Anna. I read and reread your art, and always get a new glimmer of something different every time. Sharing your work is a blessing to us all .